Hello, all! Gabriella Torres here. I am a 2018 MAIP fellow and account management intern at Cramer-Krasselt (C-K) and love all things colorful, tasty and Bruno Mars. My first experience at C-K was last November for a Chicago office tour with the University of Florida Ad Society. What stood out the most was the company motto: Make friends, not ads®. I was curious to see how an agency “made friends” and knew I had to get in the doors to find out. I came into my internship with one objective: to make as many friends as possible. As my summer internship nears the end, I am pleased to say I have accomplished my goal. My first friends were other interns in the MAIP program. MAIP stands for Multicultural Advertising Intern Program and it is a 22-week long program run by the 4A’s that brings diverse talent to over 19 markets across the nation and provides fellows with the means necessary to be competitive in the advertising industry. It is through MAIP that I landed my internship at C-K and have had the pleasure of meeting the other fellows who are interning at other locations in Chicago. Throughout this summer, I lived on the same floor with 27 other MAIPers and it has truly been the highlight of my time in Chicago. Being from Florida, this group became my family for the summer and I am very appreciative of the program and experience. Before this summer, I knew what “diversity” meant and the importance of the word, but it now has such a stronger meaning. I have never been so immersed in a truly diverse community until my MAIP experience. The beauty of diversity is that each person comes from a different background, but we can all find ways to relate to each other. I’ve exchanged my experiences of being a first-generation college student with other MAIPers and it has been rewarding to be able to relate to their experiences. We’ve all faced challenges navigating through school and finding our place within the advertising industry. I am grateful for agencies like C-K that find value in MAIP and similar programs that give students like me an opportunity to make an impact in the advertising industry. Gabriella (center) and the other C-K Create interns from the Chicago office. 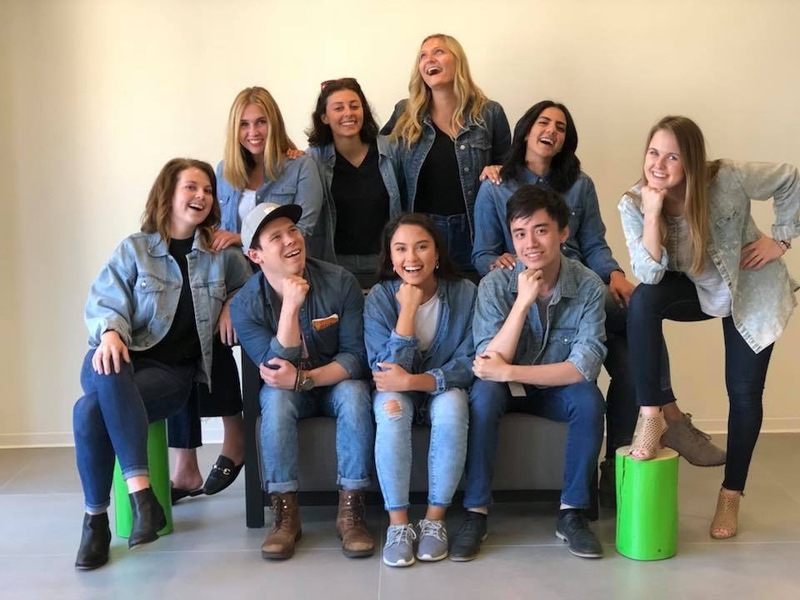 The second group of friends I made this past summer are the other C-K Create interns and every employee at C-K. Every summer, C-K hires summer interns in their Chicago, New York and Milwaukee offices. In addition to working on client work and getting a better understanding of the advertising industry, we are also tasked with the job to create a campaign to help an issue we feel strongly about. There are so many legs to the C-K Create internship that has challenged me as a person and an emerging industry professional. I was immersed into the account management team immediately and treated like a true member of the team. The culture at C-K is very inclusive. Within my first week I had breakfast with our senior leadership, Peter Krivkovich (CEO) and Karen Seamen (COO). Knowing that they made time during their busy schedules for interns like me made me feel special and appreciated. My team was also quick to befriend me and make me feel like a full-fledged member and it’s felt like I’ve worked here for years even though it was only a few weeks. C-K values people’s happiness and it shows by their efforts to continuously hire nice, caring and hardworking individuals. From the eight amazing Chicago interns to Joe the office services director and Scott from C-K Motion, the friends I have made at C-K have truly made an impact on my time here. Despite the Dark team members. The final group of friends I made this summer are my C-K Create project team members from #DespiteTheDark. At the beginning of June, my all-women group was tasked with a job to make friends for something we believe in. After a couple weeks of research and contemplation, we came across one topic that impacts the entire group. 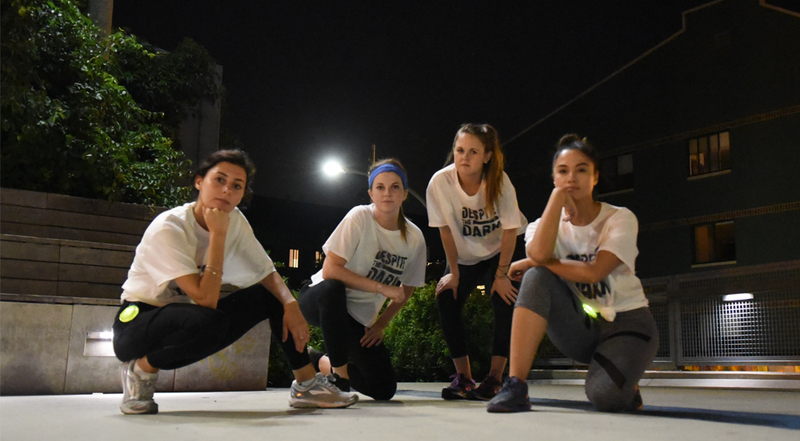 We found that when the sun goes down, the outdoors is not open to women, particularly women runners who are looking to get their exercise in, and people don’t think about the safety issues women who run at night face. So, we decided to start the conversation about women’s running safety. Our team created #DespitetheDark, a community for people who want to run beyond daylight hours. In two short weeks, our project reached thousands of people within the Chicago community. Someone from London even reached out to see how she could get involved. Through this project, I made friends with groups like aSweatLife and other running communities like Universal Sole, Chicago Area Running Association and Chicago Athlete Magazine. So many friends have been made through #DespitetheDark and this is just the starting line. Sadly, my time at C-K is ending, but if I can leave future interns with one piece of advice for their internships, it would be to continue to make friends – all types of friends – and you’ll have one of the best times of your life.